This is a Ultra Fine grade of food grade charcoal powder made from coconut shell, and it is a favorite as there is virtually no grit to it, velvety smooth when mixed with water. Its texture is like fine, soft talcum powder. 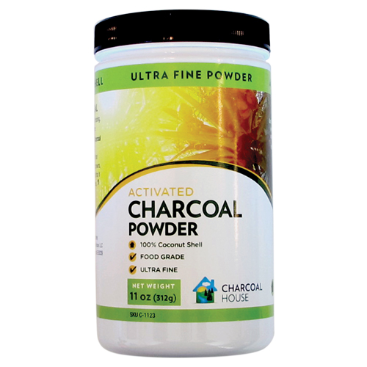 Coconut Activated Charcoal Powder Ultra Fine is a Food Grade steam activated charcoal made from coconut shell. It is used in a variety of applications including food, and health and beauty products. It can be mixed with water and used to brush and whiten teeth, mixed with thickening agents to make jels and skin creams, and taken internally for various health conditions. Approx. 23 lbs/ cu. ft.